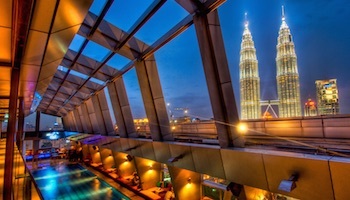 Multicultural Malaysia is home to a stunning array of sights and sounds that will entice and awe any lucky visitor to this beautiful tropical country. Divided into two, its territories are split between West Malaysia, which is located on a peninsula connected to the mainland of Asia, and East Malaysia which lies on the island of Borneo. 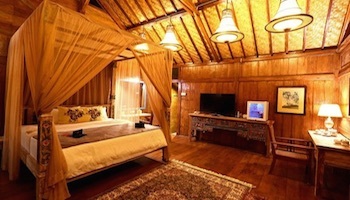 Consequently, it is home to a wide variety of diverse ecosystems just waiting to be explored. 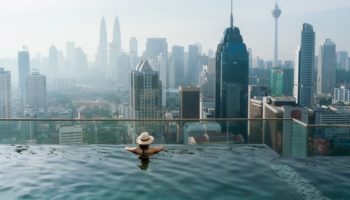 Whether it is pristine beaches you are after, the pumping nightlife of Malaysia’s bustling cities or even the delicious Malay cuisine that entices you; this gem of a country has something for everyone to delight in. With such a wealth of incredible things to see and do, it can be hard to choose the perfect itinerary. 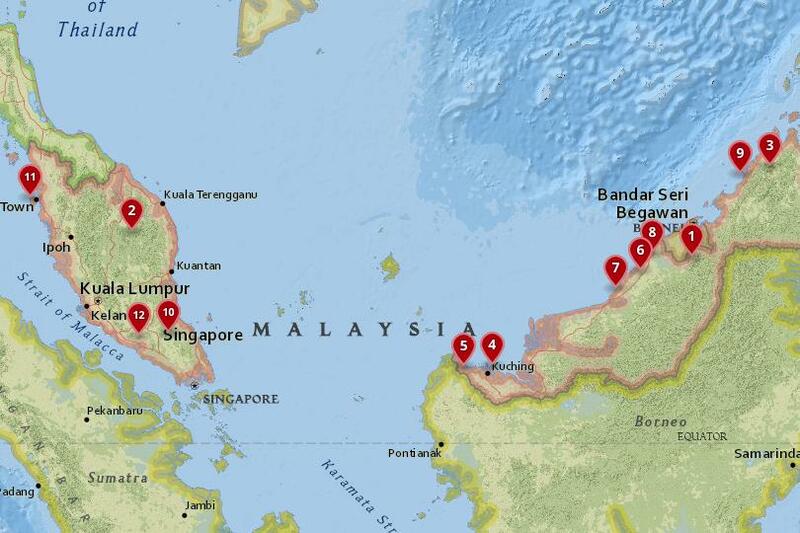 To help you decide, here are the most beautiful national parks in Malaysia; all of which are well worth a visit! This charming national park surrounds the imposing Mount Ophir which looms dramatically at the heart of the jungle that coats its slopes. Myths and legends abound about the origins of the mount’s name and fine mist cloaks the higher realms of its slopes, hiding its mysterious past alongside it. Paths snake their way through the lush undergrowth ever upwards and the view from the top is breathtaking as you are greeted with panoramic views of the forest below. A wide variety of birdlife resides in the rich and verdant canopies that cover Gunung Ledang National Park. Waterfalls also dot Mount Ophir and one of the most popular are the Puteri Waterfalls which offers visitors the chance to cool off after an arduous trek in its refreshing and welcoming pool. Located in the far northwest of the country, Penang National Park has a huge range of activities on offer for tourists to enjoy. A biodiversity hotspot, the park is home to an astounding array of fauna and flora that coat and cover every available surface. With beautiful beaches galore and fun and wild treks through the dense forest; there truly is something for everyone in this amazing national park. 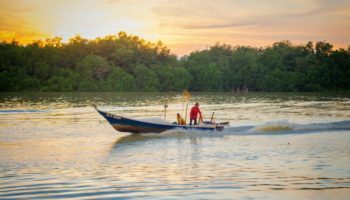 Whether it is lounging on the deserted beaches, taking a boat trip to marvel at the fish below or setting up camp to stay the night, Penang is a haven of peace and calm which will certainly soothe your soul. 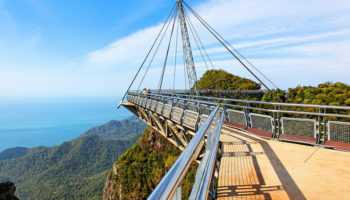 Within the boundaries of the park lies a Canopy Walk which offers you the chance to see the forest from a different perspective as you walk along the flimsy walkways fifteen meters above the ground. Named after two rivers that flow through it, Endau-Rompin National Park is coated in pristine tropical rainforest that makes for some delightful trekking. This ancient landscape that dates back some 240 million years is well worth exploring on your visit to Malaysia due its beautiful scenery that look like something out of Jurassic Park. Rivers, pools and waterfalls dot the park’s premises and stumbling upon them after a tiring trek through the rainforest is an unforgettable feeling. With the second highest peak in Malaysia, this national park has an abundance of natural wonders that will astound and awe you with their magnificence. Slowly wandering along the paths that are dwarfed by the enormous trees on either side is a liberating experience as you feel free and unfettered, alone in the wild. 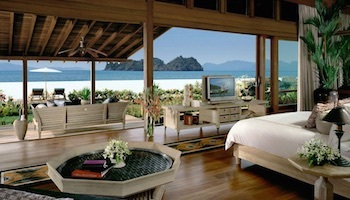 An idyllic paradise, the five islands that make up Tunku Abdul Rahman National Park are simply divine. Speeding through the beautiful blues waters to the islands, you can be forgiven for imagining that you are daydreaming such is its splendor. Varying in size, all of the islands have lovely beaches to relax on and the surrounding coral reefs make for some fantastic snorkeling and scuba diving. Although the park can get crowded, this only demonstrates its popularity and testifies to the incredible attractions on show. 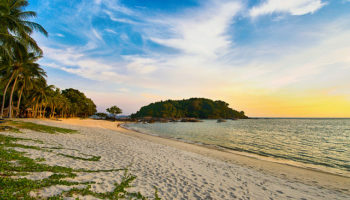 The lush verdant forests that slowly give way to dazzling white beaches that slip into the waters around them make these islands a must-see in Malaysia. Although it is small in stature, Lambir Hills National Park definitely punches above its weight when it comes to all that is has on offer. 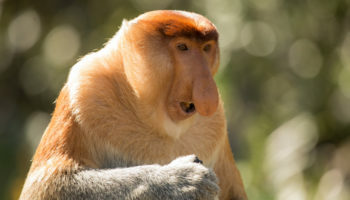 A biodiversity hotspot that is home to a veritable menagerie of animals and birds both large and small, this park is perfect for nature lovers who will adore all that there is to see and do. Trails and paths delightfully weave their way through the undergrowth of the forest and, in the shade of the canopy above, birds and monkeys play amidst the foliage. With the trees reaching up to eighty meters in height, you sometimes feel dwarfed by the oppressive forest that hems in all around you. To feel a breeze on your skin and escape from towering trees, make for the highest point in the park, Bukit Lambir, which also offers up some amazing views. With waterfalls and secluded pools scattered around the park, there are a wealth of beautiful sights to discovery in the lovely and peaceful Lambir Hills. 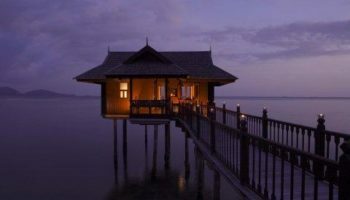 Located on the coast of the island of Borneo, this national park is a delightful combination of a number of diverse ecosystems and has a huge catalogue of different activities for visitors to choose from. Whether you are an avid birdwatcher, a hiking aficionado or passionate about snorkeling; the facilities on offer are astounding and as such each visitor is free to pursue their preferred pastime as they please. Stunning beaches line the shore and thick impenetrable jungle rears up until the sand prevents it from encroaching further. Take to the water and enjoy a memorable boat trip; looking back at the coast will offer you an unbelievable panorama of this beautiful stretch of coastline. At night, adventurous visitors can charter a boat to partake in some crocodile sighting! Wow! This impressive national park is well worth visiting for the spectacular caves contained within its boundaries. The complex of caves has signs of human habitation dating back over 40,000 years and as such it is a very important archaeological site in Malaysia. Pottery, axes, jewellery and other various tools from across the millennia have been found within the caves testifying to their long-lasting appeal to humans as a place for shelter and protection. The caves themselves are stunning to explore and the distinctive geological formations are marvelous to behold. Outside, the thriving fauna and flora stops suddenly before the shade of the caves unable to continue their advance. The juxtaposition of the warm and welcoming life-filled forests with the bleak and cold caves makes Niah National Park a special place to visit. Magical to behold, the dense and oppressive foliage of the jungle hems in on either side of you before giving way to breathtaking views of the surrounding area as you reach one of the park’s lofty peaks. The mountainous area has numerous waterfalls and streams hidden among its forests and these offer visitors a refreshing break after the arduous treks. While the scenic park is well worth visiting in itself, the main draw for visitors are the incredible rafflesia; the world’s largest flower. These huge and unique flowers are special to see and are the undoubted highlight of Gunung Gading National Park. With beautiful and distinctive rock formations and sea arches twisting their way up out of the water, Bako National Park is home to some absolutely delightful sights that belie its small size. The snaking paths of the park make their way through a number of lovely landscapes that are just waiting to be explored as dense rainforest, pristine beaches and stunning waterfalls make up just some of its scenic views. Only accessible by boat, the journey and arrival at the incredible and secluded beach of Bako make this national park well worth a visit. One of the most important biodiversity hotspots in the world, Kinabalu has an awe-inspiring range of fauna and flora for visitors to revel in. With over 4500 different types on show, the abundance of life springs out at you from every side and in the dense undergrowth the rustles and movements of its concealed birds and animals can be heard. 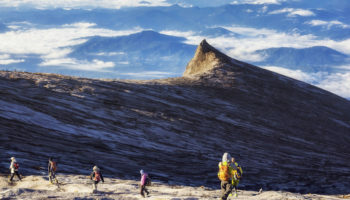 Named after the mountain that gave it its name, Kinabalu is actually the tallest mountain on the island standing at over 4000 metres in height. 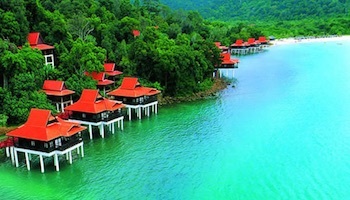 Despite being one of the most popular parks in Malaysia, the national park is delightfully pristine and untouched. Taman Negara has it all. Whether you are after unforgettable climbing, relaxing fishing or learning about the local culture; this national park really does have something for everyone. With one of the oldest tropical rainforests in the world, its fauna and flora give off a feeling of timelessness that seeps into everything, slowing down time and giving you more memorable moments to enjoy the park. For a beautiful view of the forest below, walk precariously along the narrow canopy walk that stretches between the trees and hides itself among the surrounding foliage. Roaming its forests down below are ferocious Malayan Tigers, secretive Asian elephants and the furtive Malayan gaur; all of which are protected within the confines of the park. A dreamy way to spend an afternoon is to take to the Tembeling River and drift your way through the rainforest, gazing upon all of the natural wonder before you. Serene and relaxing, Taman Negara needs to be experienced to be understood. Named after the impressive Mount Mulu, this national park is phenomenal for the wealth of amazing scenery and stunning landscapes on show. Remote and relatively inaccessible, the only ways to reach it are by plane or by riverboat; it doesn’t matter how you get here just as long as you do! The ancient karst formations are what Gunung Mulu National Park is primarily known as over the millennia they have thrown up an incredible array of astounding rock formations. With caverns, cliffs and canyons spectacularly cutting their way through the undergrowth of the park, the scenery simply needs to be seen to be believed. Huge caves dot the area and in actual fact Sarawak Chamber is the largest known chamber in the world. Stretching forever, the mind boggles at its colossal size. Mesmerizing and unique, this national park in Malaysia is definitely worth the effort!